Happy Hump Day, lovies! Hope you guys have been having a great week so far! I have been helping out at my dad’s store, so it’s been a bit hectic. Honestly, you guys, I’m getting so frustrated with my job situation! I’m going on four months since graduation, Although, I have something in the works, and things are finally moving forward in the right direction. I am so incredibly thankful for that! 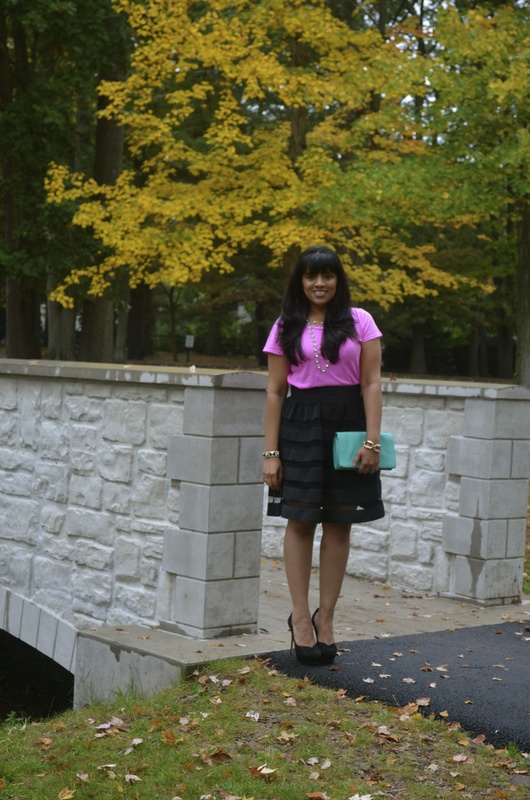 Moving on to the outfit – I’ve owned this skirt for a long …. long time! I never wore it coz it’s such a statement piece and I wanted to make sure I do justice to it. I tend to do that a sometimes. I’ll hold on to clothes until I figure out how to style em just right. Tell me I’m not the only one! 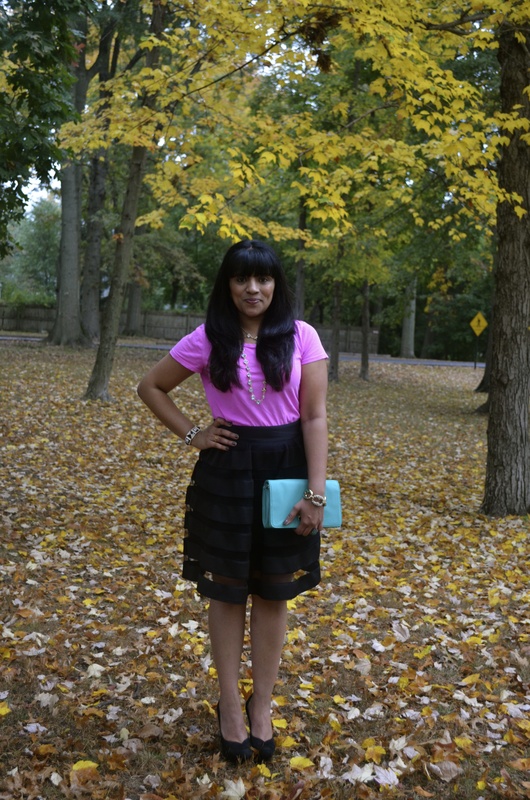 I had thought about styling this skirt with a white men’s button down (kinda like this), but I like this better. There are pops of color, but the casual tee tones the look down. What do you think? Also, without divulging much, I would like to, once again, ask you guys for lots of positive vibes. Tomorrow is sort of an important day, and I can use all the good vibes I can get. Thank you, in advance!